Completely renovated Gardner Mountain Chalet on a 9,979 square foot lot! This spacious chalet has an open downstairs living layout perfect for entertaining! The main living area has rustic style laminate flooring, open beam ceilings, and a conforming real wood burning stove. The kitchen has rich glazed maple cabinets with leather textured granite slab counters, LED recessed lighting, and Samsung stainless steel appliances including a gas range! Downstairs has a true master bedroom with an en-suite master bathroom with porcelain wood tile, a custom vanity with a slab granite counter top, and beautiful custom fixtures. Other upgrades include all new doors and trim, all new bathrooms, new double pane windows, fresh paint, forced air heating, and a comp/metal roof. The level 200 foot deep lot is fully fenced and includes a large storage shed. 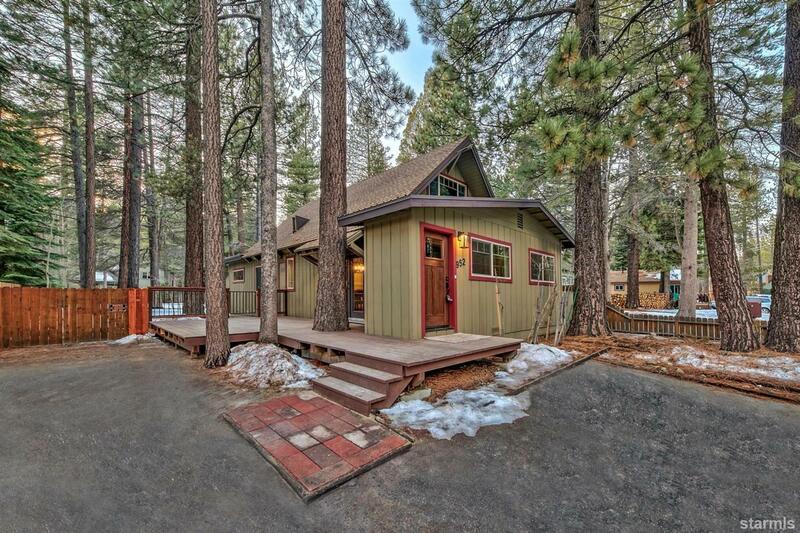 Located just minutes from shopping and dining at the Y, Pope Beach, Camp Richardson, and Heavenly Ski Resort, this Tahoe home is a must see!